On a warm summer day, Newport is a bustling seaside community with abundant ways to spend your time. Whether you’re feeling beachy, want to see the sites, or have come to Newport to celebrate, Newport is the ideal summertime destination for all. Wake up early and pack your cooler with beverages of choice, and a picnic lunch. Stop at Blue Rocks Market to stock up on tasty sandwiches, sides, and snacks for a day in the sun. 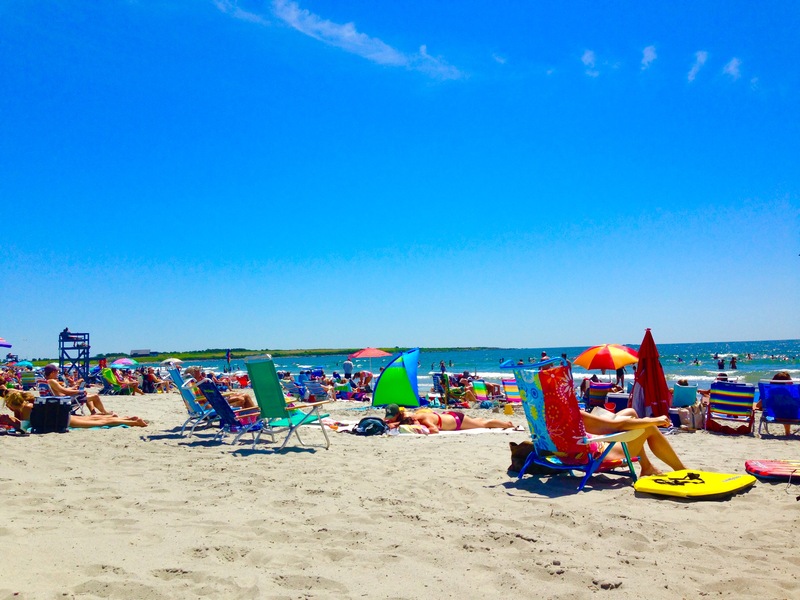 While there are many public and private beach options, Second Beach, located at 474 Sachuest Point Road in Middletown, RI, provides an idyllic setting to relax in the sun. With a 1.25-mile stretch of smooth sand, beautiful dunes, and crashing waves, it is easy to spend the entire day at Second Beach. Drive past the rocky “Surfer’s End,” and turn right into the second parking lot. If it is a hot summer weekend, be sure to arrive early to avoid the line of cars anxiously waiting to claim a parking spot. There is a parking cost of $10 during the week and $20 on weekends and holidays. Enjoy the day lounging, boogie boarding, surfing, swimming, or going on a scenic walk. Newport was founded in 1639, and has a rich and stimulating history that can be explored through many different sites in town. While visiting Newport, be sure to explore the Newport Mansions. The mansions were the “summer cottages” of America’s wealthiest families of the Gilded Age. The most popular mansions include The Breakers, The Elms, and Marble House. Take a walk down Thames Street, and explore the Bowen’s Wharf area for many unique shops and restaurants. If you have a car, definitely take the 10-mile “Ocean Drive” with spectacular wide-open views of the Atlantic Ocean and miles of magnificent million dollar mansions (Bellevue AvenueàOcean Avenue)! The famous “Cliff Walk” is a scenic 3 ½ mile walk that overlooks the Atlantic Ocean. The Cliff Walk is also the backyard to many of the mansions. It can be accessed at 117 Memorial Boulevard. Nearby, you will also find The International Tennis Hall of Fame, which chronicles the history of tennis. 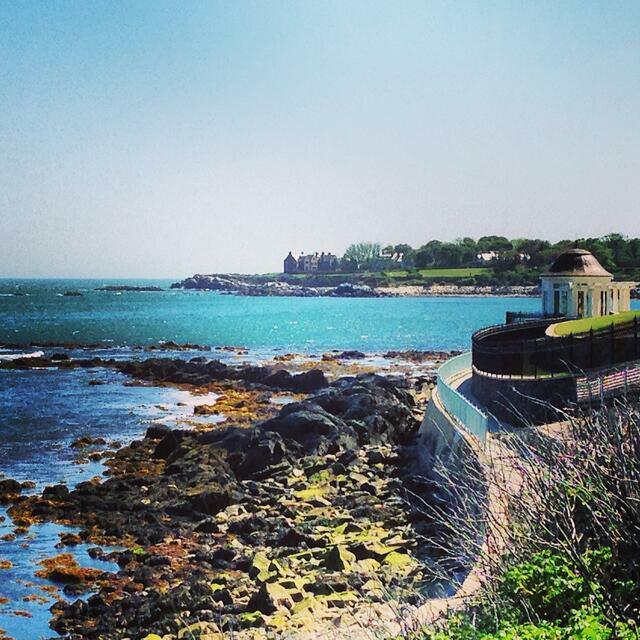 In the summer months, Newport becomes a popular destination for celebrations. Join the many walking down Thames Street and America’s Cup Avenue, in search the perfect bar. If you enjoy an outdoor bar to spend your day drinking in the sun, The Landing, The Black Pearl, or O’Brien’s Pub is the place for you. Another fabulous way to celebrate is with a booze cruise. Hop aboard The Rum Runner II and enjoy picturesque views of the harbor while sipping on a refreshing beverage. With hour long cruises departing at 5:30 and 7:00 throughout the summer months, it provides a wonderful opportunity to celebrate with friends on the water before a night out on the town. 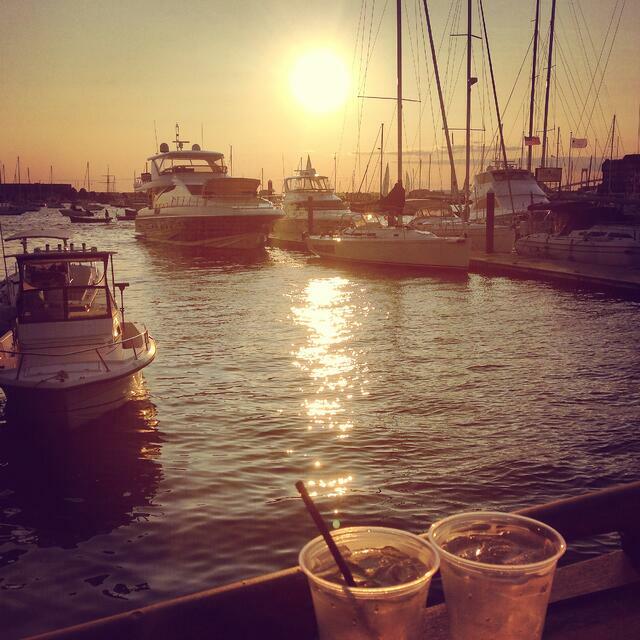 For a late night celebration, @ The Deck, Dockside, and The Landing, are popular outdoor bars. The Pelham is a festive indoor bar with live music. Bring cash to prepare for the cover charges during the summer months! While most of Newport nightlife can be accessed on foot, Pedicabs are another great choice for transportation from bar to bar. There is no cost for a Pedicab ride, and instead, drivers work on tips.